There is never a good time to have car trouble. Luckily, Bailey Towing is always just a phone call away. With 24-hour service every day of the year, Bailey Towing offers up-front estimates over the phone with no hidden fees for both local and regional car trouble. Our team is dedicated to providing professional service in a timely fashion and never any hidden charges. Should you need it, our experts can offer guidance to help you understand your rights as both a customer of our business and legally as the victim of an automotive accident. We accept cash payments, Visa, Mastercard, Discover, and American Express. No personal checks, please. 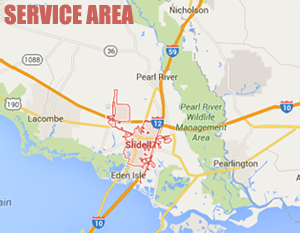 Check out some recent examples of why we're Slidell's best reviewed towing service. Read More. important, and we’d like to help you understand what your first steps should be after an accident. Read More.